Ambien addiction is a relatively recent phenomenon in society. Its root may lie in the fact that insomnia is now one of the most common health problems among American adults. In fact, the National Sleep Foundation recently found that nearly 60 percent of the population has trouble sleeping on more than one night per week. Ambien is a commonly prescribed sleeping pill. Ambien is a CNS depressant. It affects the brain's neurotransmitter gammaaminobutyric acid (GABA). 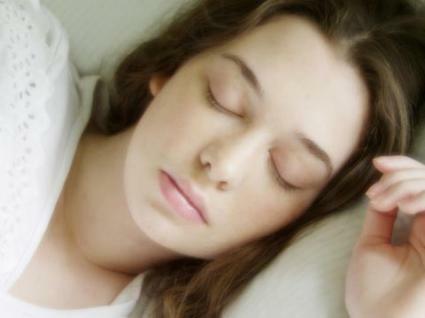 By increasing GABA activity, Ambien causes sleepiness and produces a calming effect that promotes a more restful sleep. People who are taking Ambien in conjunction with other medications must take care to avoid harmful drug interactions. Some prescription pain relievers and many over-the-counter cold or allergy medications that can also cause drowsiness should be avoided or used with extreme caution while taking Ambien. It's a good idea to review your medications with your doctor before starting Ambien. Although Ambien can be very beneficial for people suffering from chronic insomnia, it also carries the potential for addiction. For this reason, doctors must be cautious when prescribing the drug to their patients. It's not clear how quickly Ambien users develop a tolerance for the drug. It's possible that, over time, some users will need higher dosages of the medication to achieve the desired results. Since Ambien is generally prescribed as a short-term or occasional treatment, tolerance is not usually an issue when the medicine is used correctly. However, abusers have been known to use many times the recommended dose. Most people take Ambien orally, including most abusers of the drug. However, those suffering from Ambien addiction sometimes try snorting crushed pills or may "cook" them in water for an intravenous injection. When the dosage instructions aren't followed properly, Ambien users can experience some rather disturbing side effects. Patients have reported hallucinations, severe confusion, allergic reaction and abnormal behavior after taking the drug. If you don't go to bed immediately after taking Ambien, temporary amnesia can also occur. Very large doses of Ambien, especially in combination with other sedative drugs, can be fatal. It is not recommended that people suffering from Ambien addiction try to stop taking the medication on their own. Long-term or high-dose usage can lead to physical and/or psychological dependence. There are reports that stopping the drug abruptly can cause symptoms of withdrawal. While this is rarely life-threatening, Ambien users who are discontinuing their medications are at a greater risk for developing seizures. For severe Ambien addiction, medically supervised detoxification may be needed. With this approach, the dosage is gradually reduced to minimize withdrawal symptoms; these include muscle cramps, shaking, sweats and anxiety. Counseling or cognitive-behavioral therapy can also be used to treat Ambien addiction while preventing the risk of future relapse. Many people who abuse Ambien are also addicted to alcohol or cocaine. In this case, a treatment plan must be designed to address both addictions simultaneously. Don't nap during the daytime hours. Avoid caffeine and other stimulants during the afternoon and evening hours. Practice yoga, deep breathing and other relaxation techniques.